Illustration for Monsieur Marguerite, march 2018. Monsieur Marguerite is a flower subscription box. 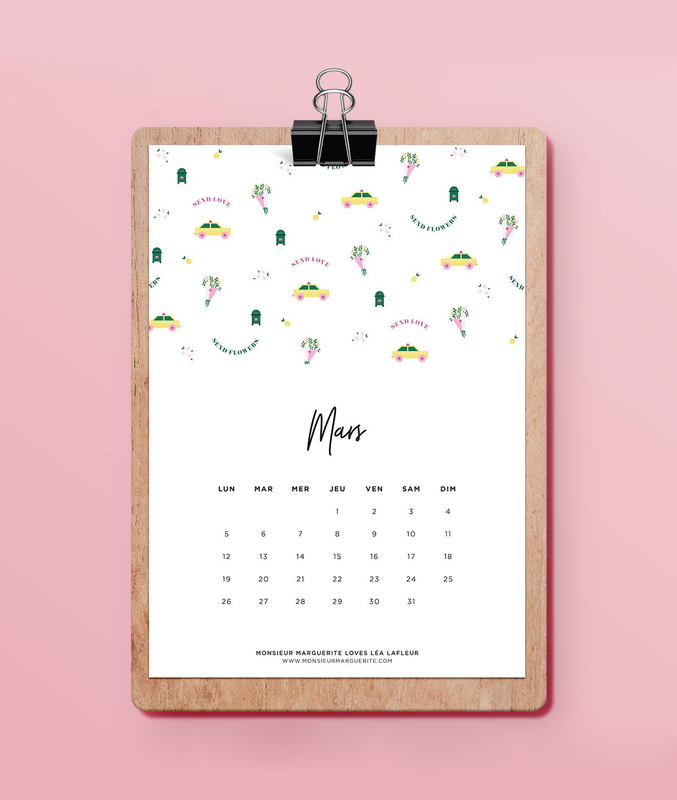 Each month, they offer a new bouquet and partner with a designer to create a themed related wallpaper & free printable calendar. In march 2018, I created an illustration for Marguerite & the City‘s theme. Read my interview here (french). Read about Marguerite & City here (french).